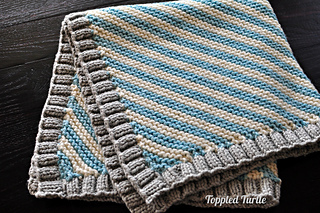 This fast & easy pattern is fully customizable for desired size, yarn choice, and gauge. 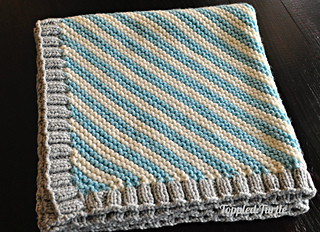 Gauge is unimportant for the main portion of the blanket and step by step instructions for figuring out binding, based on the size of your blanket and gauge are included. 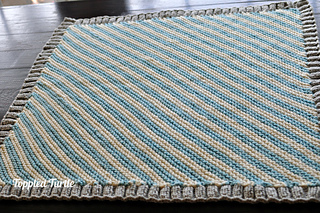 Yarn & needle sizes are recommendations based on the pictured project. 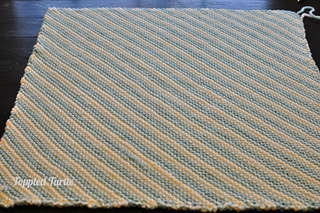 The bulkier the yarn, the faster this will knit up, but feel free to use whatever yarn & needles you desire.